These pages offer useful background information for those interested in „healthy sleeping“ and in the question how to ease their back aches. After reading them, you may also feel like consulting our sleeping experts personally, either directly in our mattress manufactury or in our showrooms, stretching over four floors in the heart of Munich or in the shop of one of our selected retailers in your vicinity. A beautiful collection of classical as well as trendy design furniture is waiting for you - gorgeous bedsteads, solid wooden beds, natural beds, ergonomic latex mattresses and slatted frames. In many cases, we have been able to help people cure their back aches, and very often our sleeping systems offer relief - check it out! Just take a look and let yourself become inspired by the following pages. 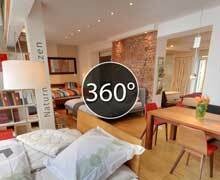 Your bedroom is the place where you spend most of your time each day. Therefore, it should meet certain individual demands, not only regarding design, but also with view to health aspects. And this is exactly what shogazi’s sleeping experts have in mind: sleeping comfort as well as an attractive look for beds that also aid your health. Spine-compatible, ergonomic or orthopaedic mattresses, adjusted individually with a corresponding slatted frame guarantee easy rest and regeneration. Moreover, shogazi sees to it that all materials are strictly monitored to ensure lack of contamination by pollutants. All materials used for the production of our mattresses as well as the wood for the bedframes, the filler materials and oils are biological products monitored to an extent comparable to food standards, lacking any pollutants whatsoever. They are made exclusively out of re-growing raw materials gained without the use of CFC (this is the reason, for example, why we do not sell Tempur mattresses). 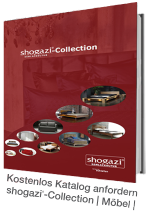 Whoever thinks that the three criteria: ecological, stylish and reasonably priced are mutually exclusive will be disabused here: due to its own factories, shogazi is in a position to offer an excellent price-performance ratio. 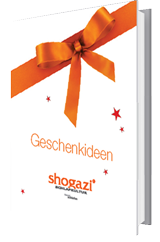 One of the most important aspects of shogazi’s philosopry is customer-oriented expert advice directly by the manufacturer. Our range of products contains a multitude of natural mattresses and more than 200 slatted frames (like for example by Zack Betten, Ruf Betten or Traumstation) from 180 to 5000 €. We also offer complete bedrooms, closets, convertible sofa-beds, dining tables and chairs – everything made out of solid wood – leaving nothing to be desired. And our products are manufactured in such a quality that they will outlast several moves without the slightest problem.